Sometimes the journey to success and millions of dollars in venture funding can start with nothing more than a Mexican road trip and crashing a cat convention’s film festival. That’s the story of Vyng, which has closed a round of $3 million after two years spent working on its technology that allows users to use personalized videos that appear on lock screens as ringtones. 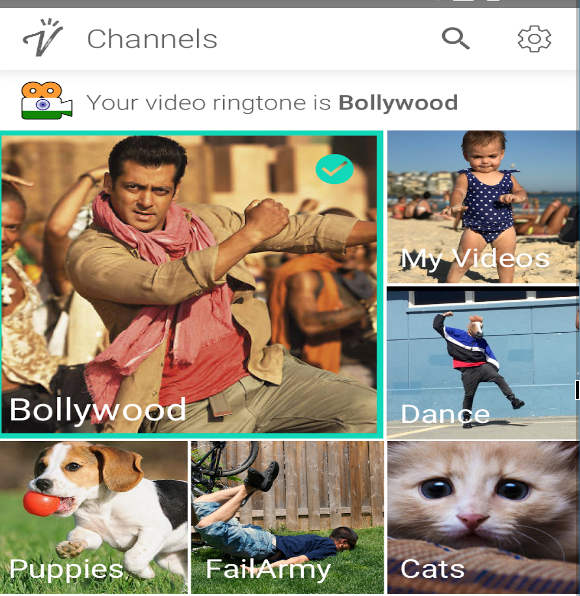 The app allows users to select from a variety of channels that range from Bollywood to puppies to cats, and even videos curated by YouTube celebrity influencers. Already JukinMedia, which runs a series of successful YouTube channels; Yoola, which manages one of the largest multi-channel networks; MGMT.ly, which works with Musical.ly influencers like Case Walker, Jayden Croes, Gilmher Croes, HollyH, Mads.yo and Mia; and bands like Midland and Big Wet have used Vyng to place content into its channels. The lock screen is perhaps some of the most prized untapped real estate for developers and marketers, and Vyng’s founder, Jeffrey Chernick, thinks that his startup has found one way to unlock its value. “If you look at messaging there’s been this evolution of how we are communicating, but the notification has remained pretty much the same,” Chernick says. As the company passes its 100 millionth video view served, it’s clear that some users have bought into Chernick’s vision of adding a level of personalization to something that’s pretty much an afterthought to me (the ringtone), because honestly… who even calls anymore? Apparently, a lot of people… but in the beginning it was just Chernick and his developers in a white van driving down to Tijuana on Thursdays after hitting up Daybreaker in Los Angeles to test the app with a user base that’s typically wild for new tech — college kids. Ever since Mark Zuckerberg launched The Facebook in 2004 to students on Harvard’s campus, entrepreneurs have been using colleges and universities as a test bed for their new tech. Chernick was no different, except he had a laboratory where students would almost exclusively be on Android devices. Hence… Mexico, where Android phones hold roughly 90 percent of the 110 million-strong mobile market. Chernick and his team would stay in cheap hotel rooms and pitch the app to kids at the university during the afternoons and early evenings, drawing them in with DJ sets and pitching the app. That’s where they did their beta testing and worked out the kinks, figuring out how to serve up the videos to users’ phones — and in a way that wasn’t data heavy. But it was Chernick’s appearance at a CatCon that really got the company’s engines purring. Literally. Crashing the stage at the convention’s cat movie festival, Chernick pitched the crowd on an early iteration of Vyng’s service — Purring. Billed as a cat with every call, it was an early way to introduce a rabid fan base to a new technology. With a boost from that appearance onstage, Vyng’s app has now been downloaded by 1 million people in more than 100 countries. And that growth didn’t go unnoticed by investors in Los Angeles and beyond. March Capital came on to lead the company’s round, with participation from HOF Capital, BAM Ventures, Clearstone Venture Partners, Inspiration Ventures, GV partner Shaun Maguire, Amplify partner Richard Wolpert, Manatt Digital and Gaspar Global. While Vyng isn’t looking to make money right now, the company does have plans for monetization, including channel sponsorships, where brands pay for a presence on content-specific channels (basically sponsoring the channel for a period of time); or having brands bid for CPM levels for their content to appear in certain channels. The company also is exploring in-app purchases that would feature exclusive celebrity content, geofilters or an emoji store.